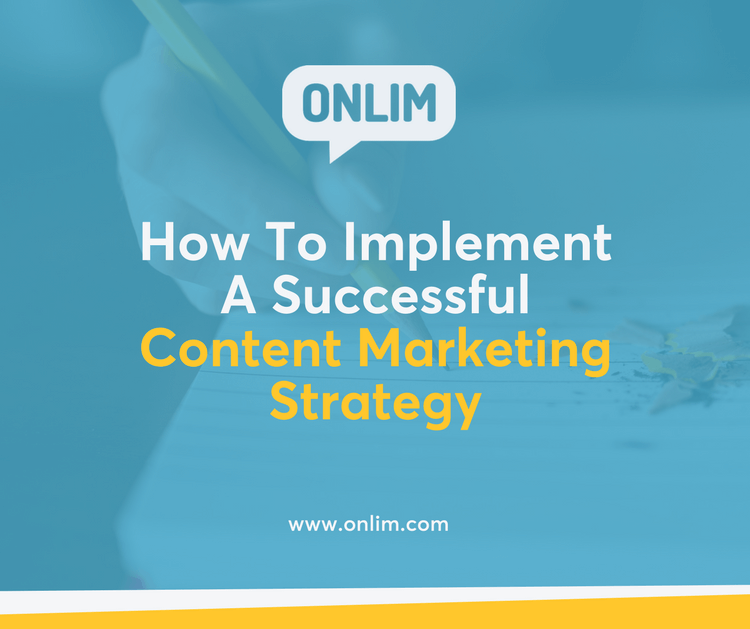 When implementing a successful content marketing strategy it’s all about creating relevant content for the right target group. But creating relevant content is not enough. A study published by the Content Marketing Institute shows that other factors such as distribution and analysis contribute to the success of content marketing significantly. Whom are you creating the content for? It’s important to know your target audience before rushing headlong into content creation. Creating personas can help with this. Personas will help you to determine the exact characteristics of your target audience. These include, for example, age, gender, social status, interests or place of residence as well as their problems and wishes. These features help you get a clearer picture of your audience and tailor your content to your audience’s needs at each stage of your marketing & sales funnel. Especially if you know the problems and desires, you can create content that will provide solutions to their problems and satisfy their wishes. Compared to some other marketing methods content marketing takes a totally different approach. You don’t focus on advertising your own product or service through various push-methods. Instead, you create relevant content that gets your audience pulled into your funnel. That’s why it’s very important to keep your business goals in mind when creating content. It should always have an offer or CTA that allows you to stay in touch with the readers. In doing so, you can build a long-term relationship with them, which can lead to a purchase of your product or service at a later time. Depending on the industry, different options come to mind. For example, you can offer studies, white papers or ebooks for free download. Users will give you their email addresses and then receive the download link in exchange. Another option would be to register for a free initial consultation or a coaching. That way you create additional value for your readers and get a chance for a one-on-one conversation with them. The best content doesn’t get you anywhere, if your target audience doesn’t know it exists. Therefore, it is important to have a good plan for you content distribution. One thing you always want to make sure is that your content is optimised for search engines. By using relevant keywords your content can appear in the search results for matching search queries and thus gain new readers on an ongoing basis. Moreover, your social media channels are a valuable medium to share your content with your followers. They are already interested in your topic and content. So sharing your own content regularly on social media, helps you build trust and a long-term relationships with them. Last but not least, you can also use various forms of advertising to get your message in front of a larger audience. For example you could use Google AdWords, Facebook, Instagram or even LinkedIn ads. Now that you’ve figured out who you want to address, what content you need to create and how to distribute it, it’s about figuring out which content works well and which areas need some tweaks. Think about the right metrics for your strategy. Many companies still use so-called vanity metrics. These metrics look impressive at first glance, but they barely help you optimize your content. For example, the number of website visitors says little about the quality of your content or the interest of visitors. That’s why you need an individual mix of metrics such as visit duration, bounce rate or interaction rate in order to make useful conclusions about the effectiveness of your strategy. Sounds like a lot of work? Indeed – but building trust, relationships and your expertise is a long-term game that will pay off! Start your 14-day FREE trial to create, plan and distribute content to your social media channels!